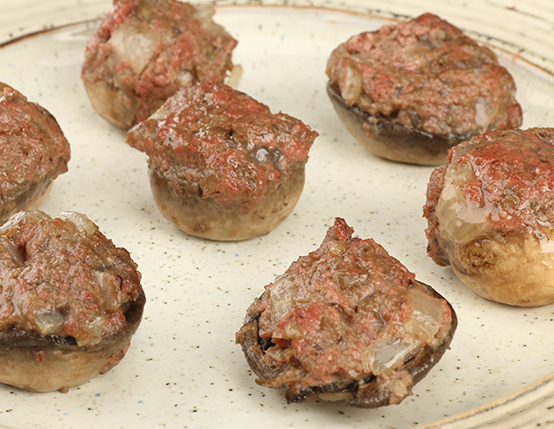 Made with authentic, creamy Jones liver sausage, these stuffed mushrooms have a rich, old-school dinner party vibe that we’re totally loving. This recipe is made with Jones Liver Sausage. Boil mushroom caps in stock for 7-8 minutes to precook. While mushroom caps precook, sauté onion and mushroom stems in butter. 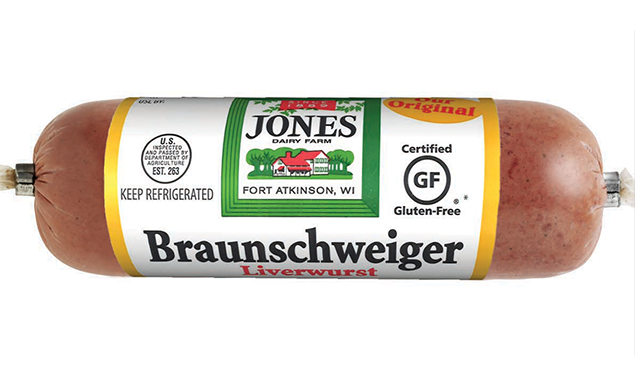 Mix with well-mashed Braunschweiger and lemon juice, salt and pepper. Fill mushroom caps with mixture, dot with butter and bake for 5 minutes or until brown on top.